Bells Bluff will be located on 44 acres of land in the bank of the Cumberland River. Sixth South will be located on 6th Ave S between Peabody Street and Lea Avenue. 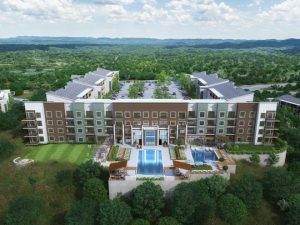 The Beach Co., a real estate development company out of South Carolina, is adding not one, but two new properties to the Nashville market. CEO John Darby says, “Sixth South and Bells Bluff will provide the best of what today’s renter wants – diverse communities, convenience to daily necessities and high-end amenities distinctive of the Nashville lifestyle.” Sixth South will be located on none other than 6th Ave S between Peabody Street and Lea Avenue. Boasting 11-stories of living space, 5,000 square feet of commercial space, and a parking garage, Sixth South will be complete with views that overlook the Gulch and Nashville’s beautiful skyline. The second project, Bells Bluff, will be located on 44 acres of land nestled in the bank of the Cumberland River. 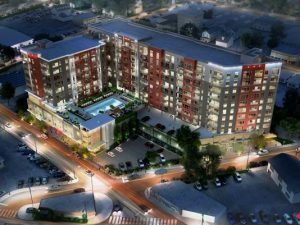 It will offer studio, one, and two-bedroom apartments, as well as a fitness room, clubroom, and a one-of-a-kind pool with a view to match! Read more here. Hi, Emily! Jesse Marcum is not a member of our team. He is simply a vendor that has been added to our vendors list over the years. He has now been removed and will not be referred to any of our clients. We were unaware of his record, and we thank you for bringing it to our attention.